mens salamon xwing 168cm skis with bindings and poles. Condition is Used. Collection in person only. Women’s Rossignol Temptation 80 Skis. These skis are 168 cm in length and are complete with bindings and have just been serviced. These skis have had 6 weeks skiing. To ensure safe delivery we will post using Parcelforce 48 hour service. Atomic Redster Doubledeck 3.0 GS 172CM Black Limited Edition 2016. Bindings: NEOX TL 12 Construction: Carbon Woodcore Titanium Doubledeck Length: 172CM Radius: 16.5M Sidecut: 115/70.5/100 Great skis which are sadly a little too short for me. Would condisider a swap with a longer pair if possible in 178/184. Tops are marked a bit with usual wear. Bases and edges are in very good condition. Please see detailed pictures. Fischer 150cm Slalom Skis. Condition is Used. Used for 5 years . Average condition . I have for sale a set of K2 T9 Sweet Luv ladies freestyle twin tip skis size 160 cm. The bindings are Marker M2 10.0. The softer tip and tail allows the skier to effortlessly initiate a turn and ski any slope. Fischer Progressor F17 160 2017 Inc Bindings. Condition is Used. Used for one trip to La Plagne in 2017. Fitted with Fischer Power Rail bindings. Selling off all my ski equipment. Will combine postage. Please take a look. COLLECTION IN PERSON ONLY. Pair of poles included free. Great condition, plenty of skiing left before even a service. • Atomic Lithium 10 Bindings (All ready fitted to the ski’s). • Titanium Backbone 2.0. • Light Woodcore. In really good condition! Ski Weight 1640g. You're looking at our Stöckli / Stoeckli Stormrider off-road XL skis with skins.Bindings not included. Skins included.Condition is Used. Collection in person from the Woking / Byfleet area only. 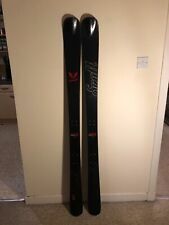 Volkl Freestyle 161cm twin tip skis. Condition is Used. Full service before recent 3 day use. Salomon ski bag. Collection only. A good unisex ski. COLLECTION IN PERSON ONLY. Getting rid of as no longer needed. I would much rather effectively give away than send to recycling. Skis K2 Apache recon 170cms. Used for about 10 years. Have served me well but now a bit knackered...would do someone well who wants a second pair of skis or for bruising around on days when the snow is a bit patchy and you want to save your preferred pair. Priced to get them off to a new home rather than simply scrapping them! ladies K2 true love skis 156cm. Condition is Used. Collection in person only. BOGNER Ski Bag Fisher Ski`s & Poles. A great pair of skis. super stiff and heavy as there are plates under the bindings for added weight so only suitable for a strong skier. These skis just want to turn. once on an edge they accelerate fast and are a joy to ski. Fischer rx cool heat 165cm skis with bindings Including Poles. Condition is Used. Great skis that have been skied on for several seasons. Perfect for piste skiing or for intermediate skiers looking to improve. Few scratches on top due to skiing but otherwise in good condition. Been serviced quite a few times. ATOMIC 151 GS2 SKIS. WITH ATOMIC "RACE" BINDINGS. BARGAIN PRICE AS IT IS JUST OUT OF THE SKIING SEASON. Head Supershape i.Titan 2019 Skis & PRD 12 GW Bindings. The i.Supershape Titan has the widest footprint in the Supershape line, making it a fun, all-terrain carving ski for expert all-mountain rippers. Helmet Rossignol Ski SIZE M TO L. Condition is Used HAS some marks to side. Only worn few times but does have some marking. No falls in it. K2 Pettitor 2013 skis & touring bindings. 120cm underfoot. Tyrolia touring bindings. Few scratches but nothing serious, pretty good condition considering their age. Fun skis, amazing in the powder. Have some black diamond skins cut to these skis that could also be thrown in if interested. Condition is Used. Skiing all Mountain Ski Super Light Salomon Qst 106 Freeride all Mountain. Condition is Used. The only reason for sale is that I buy new skis every season - so there is a bargain here. The skis are drilled for Salomon Shift bindings (not for sale) as I have moved those to my new skis. skis. Condition is Used.3 pairs of skis , one men's ,one ladies, one cross country.buyer to collect . He added a new 5/30 mini-rocker to the tip and tail to enhance it’s performance in soft snow, and bi-directional taper for better switch carving. The result is the the only ski that is truly a quiver of one. k2 Freestyle Skis (park) 169cm Salomon Adjustable Bindings, Cool Set Of Skis, great design and pink base! Still got lots of life in them A good alternative to hire or for a beginner freestyle skiier Could do with a wax on base but edges are sharp used for a season pick up preferably but delivery can be arranged at buyers cost happy bidding jack :) Condition is Used. Rossignol Attraxion 1 146cm women’s skis saphir 90 bindings. Condition is Used. There are some marks on the top sheets and minor scratches on the bases. These skis would suit a beginner/intermediate. 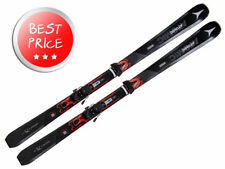 K2 Mountain Axis 167cm Skis, Salomon S710 Bindings, + Leki Elegance poles. The new A106 mixes off piste performance with on piste handling. It has a slightly different shape to the A112 and A99 as the widest point goes further into the tip, allowing the skier to easily vary turn shapes. Aerospace grade pre-preg laminate is used with extra dampening to make a supremely manoeuvrable ski that charges in powder, through crud or on piste and has one of the smoothest rides on the market. Size 189cm. Good luck! The Rossignol Radical WC FIS is a powerfulGiant Slalom ski for aggressive racers. Tip/Waist/TailWidths Complies to 2013 FIS Regulations. Turn Radius @ Specified Length Complies to 2013 FIS Regulations. 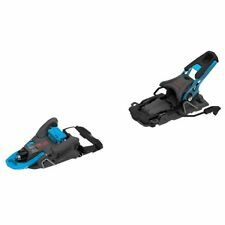 K2 Comanche 4Com Skis 160cm length - All mountain ski Bindings. K2 4Speed Poles. For the developing skier who wants great performance and a good value, the K2 Comanche 4 Com Ski is ideal. In all snow conditions, the Comanche 4 Com Ski is forgiving enough for slower speeds and stable enough for faster turns. LINE Influence 105 Skis 2016 plus Salomon bindings 179 length and 141 / 105 / 131 (Tip - underfoot - tail). Tricky couloirs are a thing of the past, these skis just eat it up. Like all LINE Skis, the top sheet edges scratch very easily. Elan Speedwave 9 All Mountain Skis 168 CM Poles Included! Head supershape magnum 170cm skis. Used, but generally in sound condition. I bought these off a ski instructor and they have been great skis. Slight chip, see photo. Will post at buyers expense. Ortovox Cross Rider 20 . Hello I am selling my Ortovox rucksack. Condition is used, but is practically brand new as I have only used it once for skiing and it hasn’t had any falls etc. Colour: Black and blue. I originally bought this for £90.00 so grab a bargain. Will be sent 1st class recorded. Many thanks for looking. POC Sports Pocito Iris Goggles Zink Orange One Size . Salomon Focus Platform Comfort Flex Carver Ski. Great condition. Blizzard skis. 165cm. FIS World Cup. SL. Hit the slopes in style his ski season with a new pair of downhill skis to add to your skiing equipment. Available in a huge number of patterns and colours, you can be sure to find the perfect downhill skis for your next visit to the mountains. Wherever you're heading this ski season, make sure you're prepared to get the most out of your trip with a quality pair of skis. Choose a pair from the top winter sporting brands such as Alpina, ROXY and Salomon, plus many others. Look out for skis with brightly coloured branding, patterns and colours to make sure you really stand out while enjoying speeding down the slopes. Pick your favourite from quirky cartoon characters to bold abstract patterns and inject a bit of your own personal style into your skiing equipment. If you're looking for an excellent all-rounder to take with you on your next skiing holiday, look out for All-Mountain skis. Designed to be able to do a little bit of everything, from slalom and jumping to recreational downhill skiing. Those who typically ski where there is a lot of fresh snow should look at a pair of powder skis. Their wide design allows you to glide smoothly over fresh powder snow and will not slow you down with any sinking, making them ideal for speeding downhill. Slalom Race Skis, or race skis, are slightly shorter than other types of ski and are the best models for turning sharply, which is why they are commonly used in slalom races. If you love to ski over jumps and other obstacles in a terrain park, Freestyle Skis might be the perfect choice for you. With a symmetrical design to help you conquer jumps, rails and other features, they're a perfect piece of equipment for any thrill-seeker.